In New Jersey, the legal age to drink is 21. 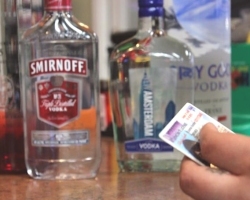 That, however, doesn’t mean that people under the age of 21 won’t do whatever they can – using a fake ID, having an of age person purchase the alcohol for them – to acquire alcohol. Under New Jersey law, it is illegal for a person under age 21 to possess, buy or drink alcohol in a motor vehicle, where people are assembled, in a school or in a public place. In the event that the underage person is caught by law enforcement, he or she will be charged with a disorderly persons offense. This is the equivalent of a misdemeanor in states other than New Jersey. A person under the age of 18 who is caught with alcohol under the circumstances listed above won’t face disorderly persons charged. They will instead face a hearing to decide whether or not they can be considered a juvenile delinquent. A person between the ages of 18 and 21 will be charged as an adult. There are certain exceptions that will allow a person under the age of 21 to consume alcohol without having to face the penalties under New Jersey law. These include instances in which they are accompanied by an adult family member; if it is part of a religious ceremony; and if it is part of a job or school. If an adult member of the family allows a minor to have a glass of wine during a celebratory dinner or for whatever reason, this is not subject to a disorderly persons offense. It must be in the presence of the adult family member or on the family member’s property. This doesn’t apply to the underage person’s friends. Some religious rituals include the use of alcohol. Under these circumstances, they are allowed to possess and consume alcohol while they are underage. If an underage person is working at a job that requires the handling of alcohol such as in a restaurant, then it is allowable for them to possess it. The same holds true for an educational venue such as a culinary institution where alcohol will be used. If the person is over age 18 but under age 21, there will be fines and the possibility of jail time. For the disorderly persons offense of possessing alcohol underage, the individual will face a fine of between $500 and $1,000. As for jail time, the judge will have the freedom to impose a sentence of up to six months in jail. This is true with any disorderly persons offense. However, for possessing alcohol underage, a more probable scenario will be for the person to have to attend six months of various programs. These could be alcohol awareness programs, a treatment program or an intervention to try and stop the underage person from repeating the offense. The penalties are different if the underage person is caught with alcohol in a motor vehicle. These apply even if the person wasn’t driving. Simply being in a vehicle in which alcohol is present will have their driver’s license suspended for six months. 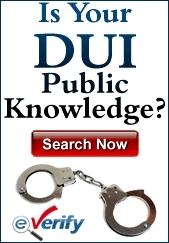 If the underage person was driving, then the penalties are worse for underage DWI. The blood alcohol content need not be 0.08% to warrant an arrest for a person age 21 or over. For a person who is underage, the BAC of 0.01% is sufficient. There will be a driver’s license suspension for three months, a surcharge of $1,000 per year for three years and a fine of between $250 and $400. The driver will have to pay $230 to the Intoxicated Drivers Resource Center (IDRC); $100 each to the Alcohol Education and Rehabilitation Fund (AERF) and the drunk driving fund; and a $75 fee to the Neighborhood Services Fund. A jail sentence of up to 20 days can be part of the punishment. If the person is under the age of 18, there will be the delinquency hearings and programs to try and stop the behavior. There is the possibility that the person will be placed in an inpatient or outpatient rehabilitation center. If they were in a motor vehicle, they will lose their driver’s license for six months. If they haven’t gotten their driver’s license yet, it could be subject to delay due to this offense. If the underage person was driving, there will be the requisite penalties for DWI.